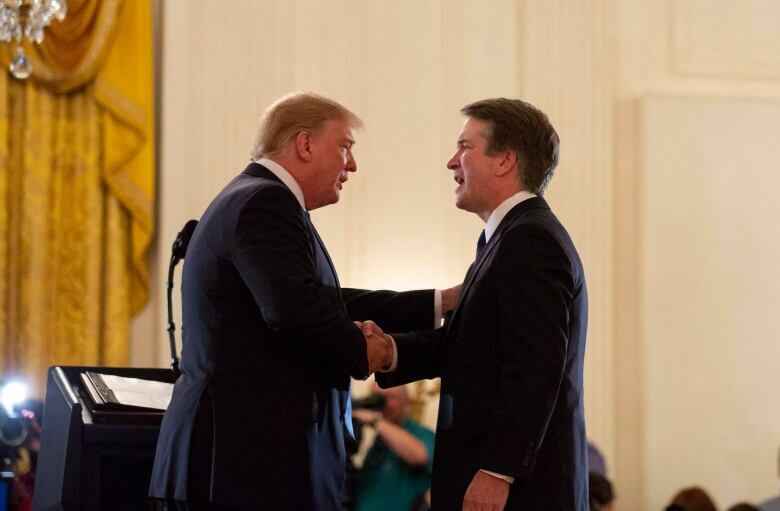 Judge Brett Kavanaugh, U.S. President Donald Trump's nominee to the Supreme Court, suggested several years ago that the unanimous high court ruling in 1974 that forced President Richard Nixon to turn over the Watergate tapes may have been wrongly decided. Judge Brett Kavanaugh, U.S. President Donald Trump's latest nominee to the Supreme Court, suggested several years ago that the unanimous high court ruling in 1974 that forced president Richard Nixon to turn over the Watergate tapes, leading to the end of his presidency, may have been wrongly decided. Kavanaugh was taking part in a roundtable discussion with other lawyers when he said at three different points that the decision in U.S. v. Nixon, which marked limits on a president's ability to withhold information needed for a criminal prosecution, may have come out the wrong way. Kavanaugh's belief in robust executive authority already is front and centre in his nomination to replace retiring Justice Anthony Kennedy. The issue could assume even greater importance if special counsel Robert Mueller seeks to force Trump to testify in the ongoing investigation into Russian interference in the 2016 election. "But maybe Nixon was wrongly decided — heresy though it is to say so. Nixon took away the power of the president to control information in the executive branch by holding that the courts had power and jurisdiction to order the president to disclose information in response to a subpoena sought by a subordinate executive branch official. 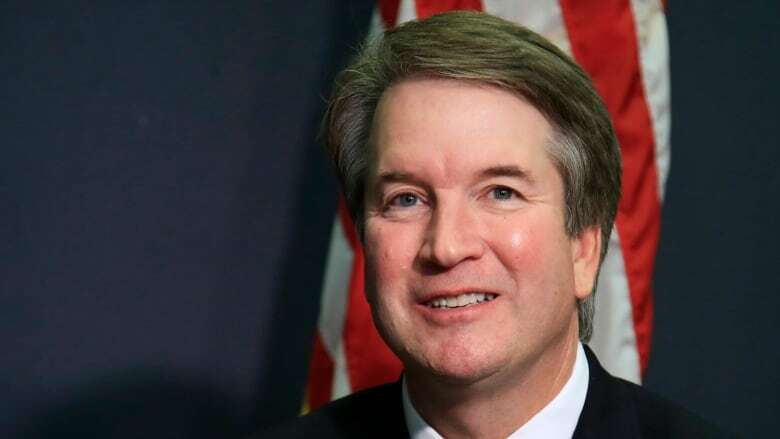 That was a huge step with implications to this day that most people do not appreciate sufficiently ... Maybe the tension of the time led to an erroneous decision," Kavanaugh said in a transcript of the discussion that was published in a 1999 issue of the Washington Lawyer. Philip Lacovara, who argued the Watergate tapes case against Nixon and moderated the discussion, said Kavanaugh has long believed in a strong presidency. "That was Brett staking out what has been his basic jurisprudential approach since law school," Lacovara said in a telephone interview Saturday. Still, Lacovara said, "it was surprising even as of 1999 that the unanimous decision in the Nixon tapes case might have been wrongly decided. The article was among a pile of material released in response to the committee's questionnaire. Kavanaugh was asked to provide information about his career as an attorney and jurist, his service in the executive branch, education, society memberships and more. "Years before I became a member of the Congressional Country Club and the Chevy Chase Club, it is my understanding that those clubs, like most similar clubs around the country, may have excluded members on discriminatory bases that should not have been acceptable to people then and would not be acceptable now," he wrote. Asked to list the 10 most significant cases for which he sat as a judge, Kavanaugh cited nine in which "the position expressed in my opinion (either for the court or in a separate writing) was later adopted by the Supreme Court." The 10th regarded a man fired by mortgage giant Fannie Mae after he filed a discrimination complaint that alleged a company executive had created a hostile work environment by calling the worker "the n-word." Kavanaugh said he included it "because of what it says about anti-discrimination law and American history." Kavanaugh said an appeals court panel on which he sat reversed a lower court's ruling in favour of Fannie Mae. He said he joined the majority opinion and wrote a separate concurrence "to explain that calling someone the n-word, even once, creates a hostile work environment." In the questionnaire, Kavanaugh cited his opinion in that case: "No other word in the English language so powerfully or instantly calls to mind our country's long and brutal struggle to overcome racism and discrimination against African-Americans."' But it was one of the relatively few discrimination cases in which Kavanaugh sided with a complaining employee. Asked whether anyone sought assurances from him about the stand he might take on a specific case or issue, he answered "No." He also said he had not offered any indication how he might rule as a justice. Kavanaugh has written some 300 rulings as an appeals court judge and has a record in the George W. Bush White House as well as in Kenneth Starr's probe of President Bill Clinton that led to Clinton's impeachment trial in the 1990s. Republican Sen. Chuck Grassley, the committee chairman, said the questionnaire was "the broadest and most comprehensive" ever sent by the committee and he welcomed "Judge Kavanaugh's diligent and timely response."